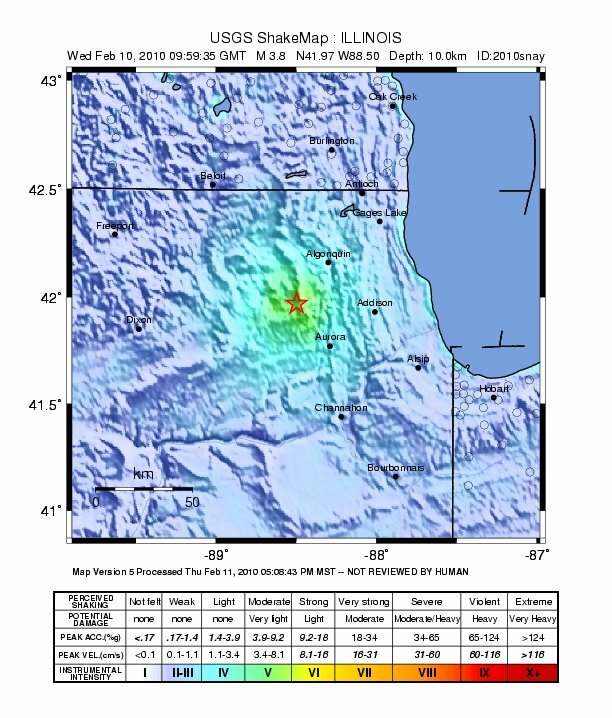 February 11, 2010 -- A 3.8-magnitude earthquake centered in a farm field near Hampshire shakes a wide area from Wisconsin to Tennessee. 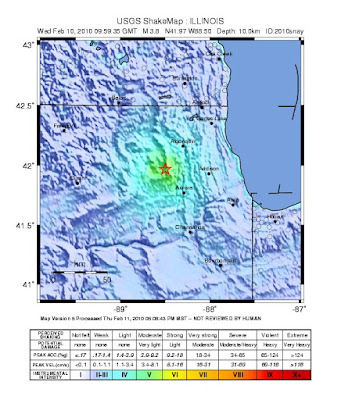 At first reported to be a 4.3-magnitude quake, the estimate was revised downward after data was more closely analyzed. Whatever it was, it shook a lot of people in the area awake when it occurred at 3:59 in the morning.